Here is a car that I have been looking forward to testing for a while now, the Citroen DS3 DSport. 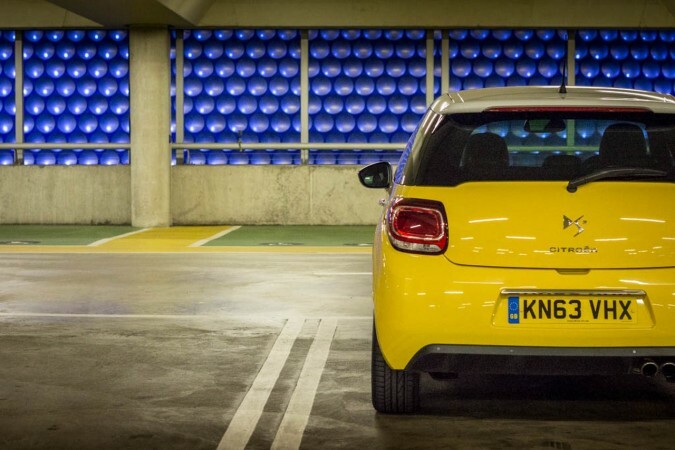 Citroen make great sporty little cars, and the DS3 is as good as they come. The car was delivered during the day, but unfortunately I didn’t get the chance to take a good look at it until after dark. The test model was bright yellow with white roof and wheels, so all the features of the car were still highly visible, even in the dark. Looking around the car it is surprisingly refreshing and modern looking, and certainly sticks out from the other hot hatches around. Getting inside the car for the first time was exciting also. 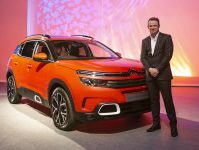 Citroen provide a colour matched flip out key to open up the car. Once inside, I noticed the racing style leather seats which are very supportive, and, in my opinion, the dash layout is more exciting than anything else currently on the market. 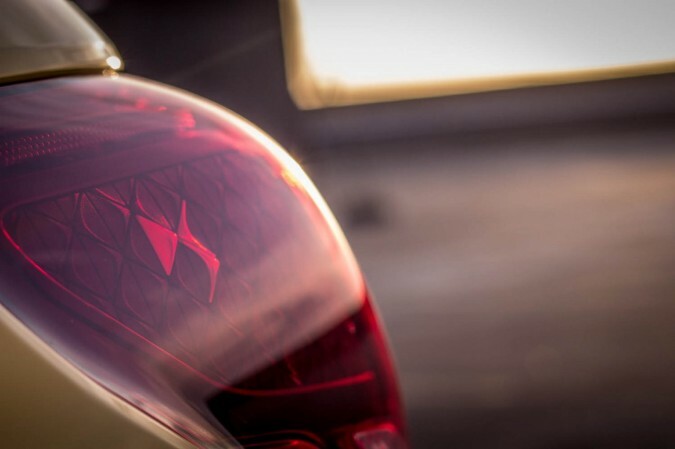 The DS3 interior is bold, outgoing, and certainly makes the car feel special from the moment you get inside. Turning the key and moving off, instantly the fun starts. The 1.6-litre French engine has everything you need; 155bhp, 0-60mph in 7.3 seconds, and a top speed of 133mph. The actual driving experience feels a lot faster than it looks on paper, and the handling setup makes the car feel nimble and responsive from the off. I took a short motorway journey from Birmingham to Rugby. 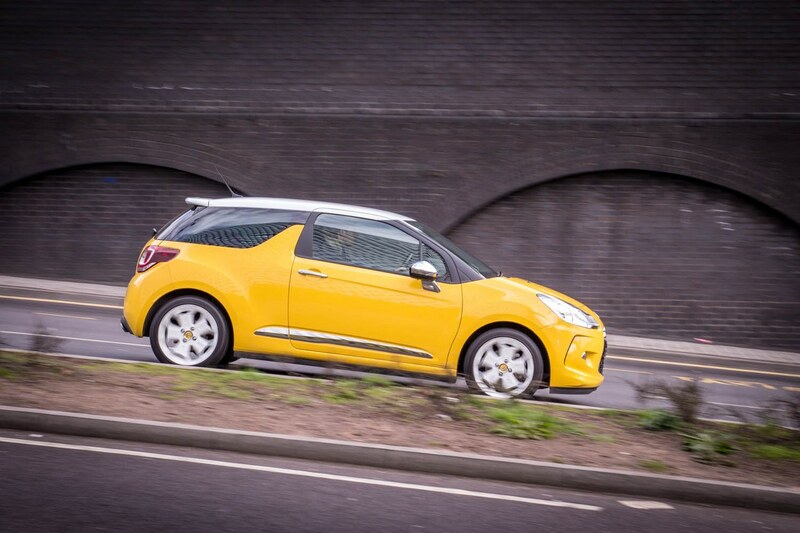 I was excited to test the DS3 on the motorway and see how it coped. I was very impressed, if you wanted to, you could go hammering down the slip road up to motorway speeds in no time, and once you have merged on, you can turn on the cruise control and maintain your speed while you focus on the road. 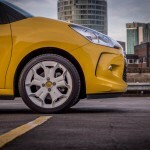 For a small car, both the road noise and comfort whilst at motorway speed were great. 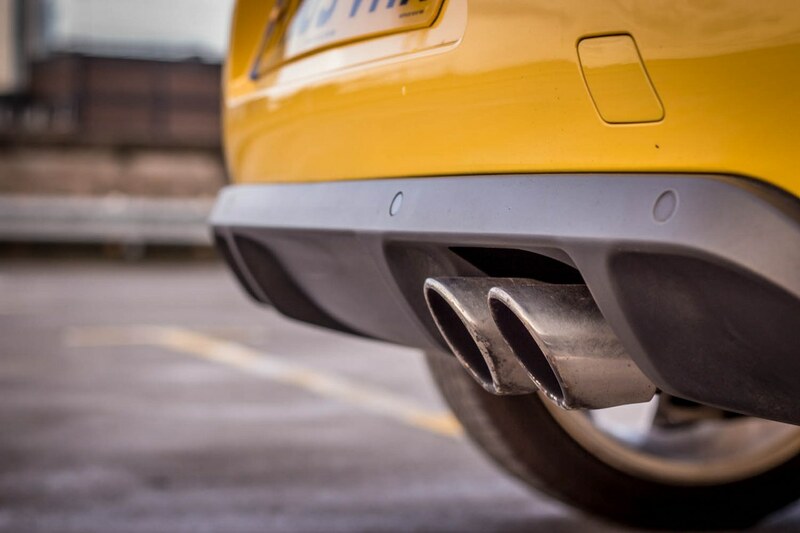 Depending on the type of driver you are, you can also set a maximum speed limit on the car, which is very handy if you find yourself sneaking over the 70mph limit. 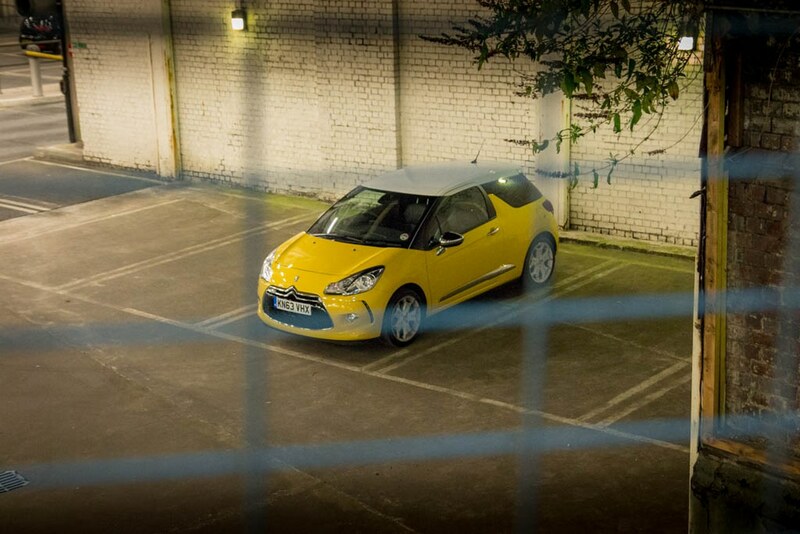 Taking the DS around the city centre in the evening gave me a chance to test out the car in a harsh urban environment. 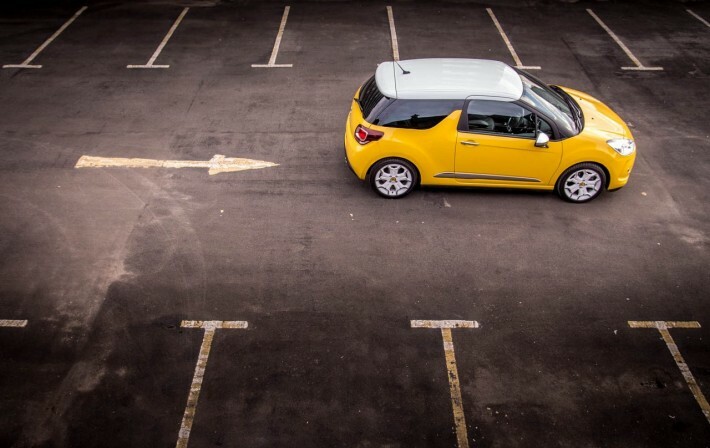 The Citroen isn’t the smallest car, but manoeuvring the DS3 around town is a dream, tight multi story car parks and back alley cut-throughs can all be concurred with relative ease. 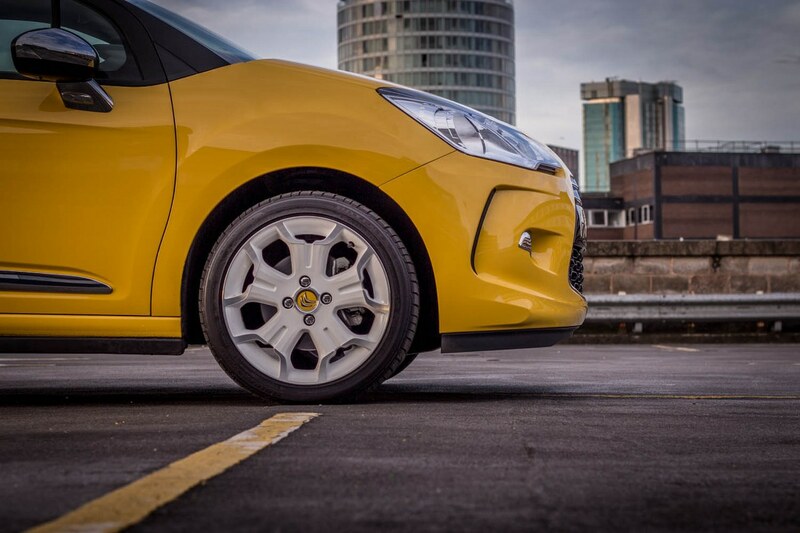 The visibility is good, the turning circle is ideal, and most importantly you look the part as you’re making your moves. What I did notice whilst testing the car around town is how at home the car looks. 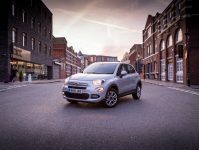 The styling is bold and extravagant; there are loads of key features to the styling that make this car far more exciting than others in the same class. For me I liked the funky big grill, the withdrawn LED running lights, the chrome trim down the lower side panels of the car, and the disappearing B pillars that are covered by glass. Day 4 – What do others think? Off to pick some friends up on Thursday evening for a game of footie. 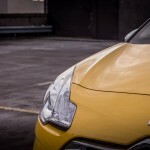 I am always keen to hear what other people make of cars and how they choose to perceive it without explanation from me. I’m happy to say that there wasn’t a bad word said about the car. People were very complimentary about the external design, loved the interior features and materials, and where more than satisfied with the sporty performance of the DSport. Typical of a Friday afternoon, I was stuck in traffic on the way back from the office, this is always a prime time to check out the interior. 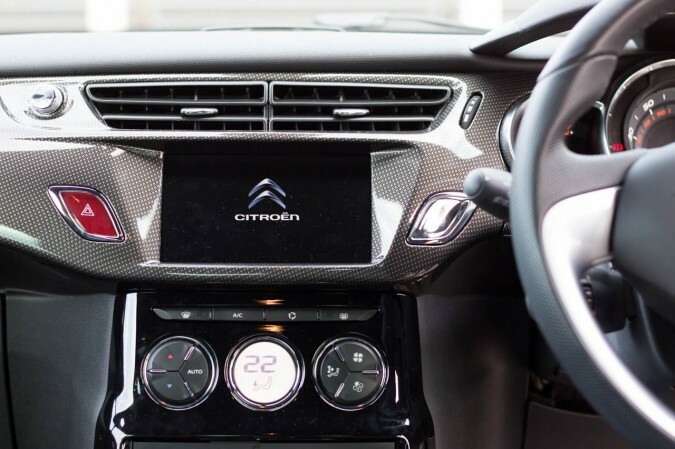 The good news is that there is loads to admire inside the Citroen DS3 DSport. For me the stand out features of the car were the sporty leather seats, flat bottomed racy steering wheel, carbon fibre effect dash trim, integrated air freshener, 8 inch sat nav display in the dash that has a great looking interface, but unfortunately isn’t touch screen, and lastly the dial instruments’ very futuristic and premium look and feel. There was so much to like on the inside of this car. 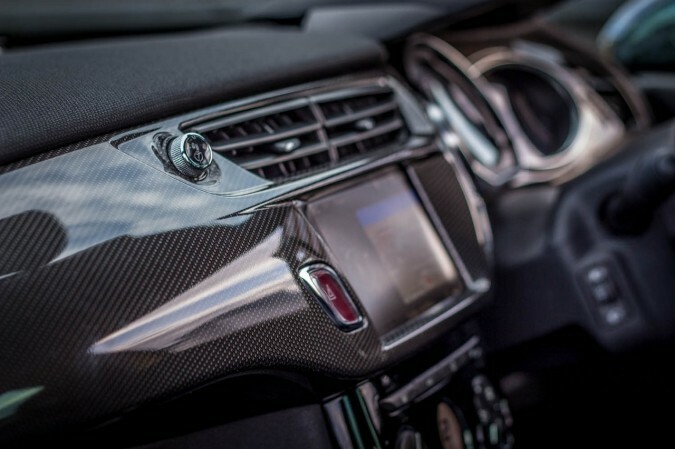 Technology in the car included a 6 speaker audio system, CD Player, USB, sat nav, traffic updates, Bluetooth, eTouch Emergency and Assistance system, automatic wipers, headlights, locks and folding wing mirrors…more than enough than most people will need. 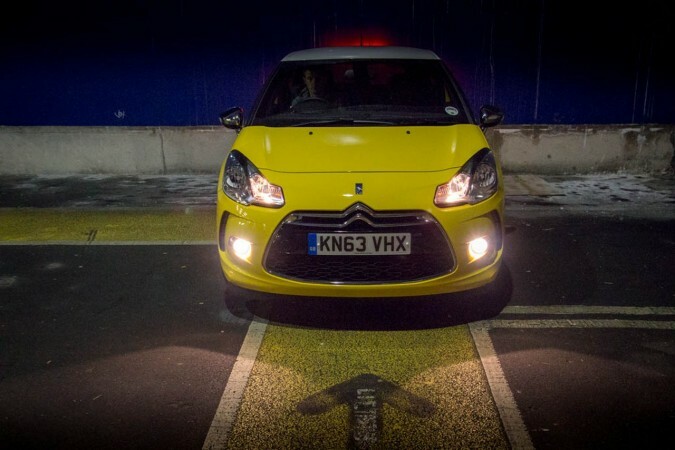 We had a 5am start to make sure we could get the lighting right on the DS3 DSport. 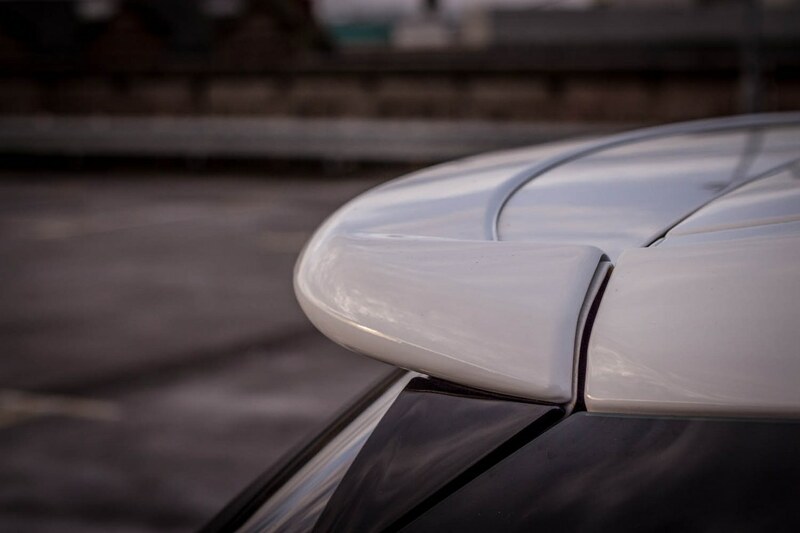 We spent 2 hours with the car stationary, walking around it and looking at the details of the car, searching for its best angles. 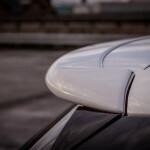 We learnt that the DS3 actually looked good, if not great, from most angles. Studying, judging, and debating every aspect of the car as the elements were pictured, we learnt that the design was obviously good and the build quality was very high, we actually struggled to find any flaws in the construction of the car. The more we discussed the car the more were understood why this car works so well and why so many people have chosen to buy one. Citroen call it Anti-Retro, for me it’s simply a super modern design concept that has been excellently executed. Day 7 – How Much Fun Can You Have In It? Looking to capture a spot of video of the DS3 DSport I teamed up with our tracking driver who was in a BMW Mini Cooper S which, just so happens, to be a direct competitor to the DS3. Side by side the Citroen clearly looks the more interesting of the two, but how does it compare performance wise? On paper the Mini should be faster, but in reality we couldn’t actually notice a difference in straight line performance. 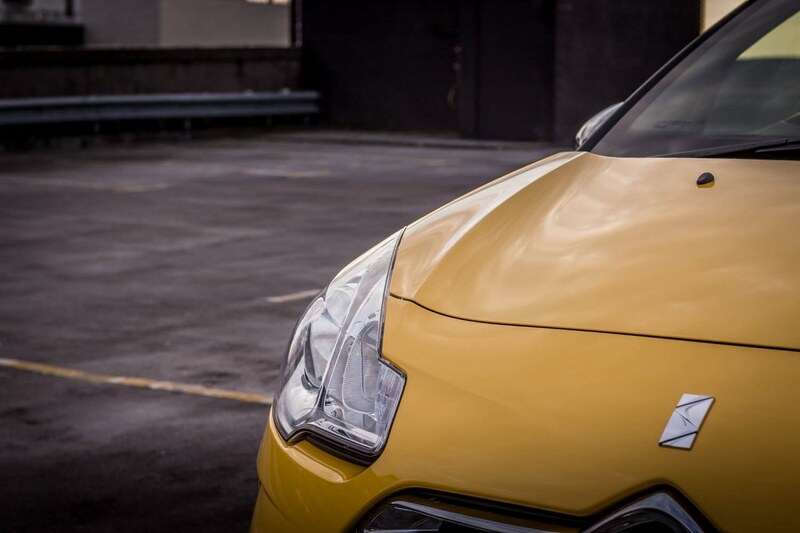 When you find some open road in front of you, you can have loads of fun in this Citroen. The 1.6-litre turbocharged engine feels very responsive, and powers the car along the road nicely. The 6 speed manual gearbox is very nicely geared and feels rewarding, shifting up and down as you tear down the roads. The suspension feel certainly has sporty characteristics and the steering feedback via that flat bottomed steering wheel is pretty good too. 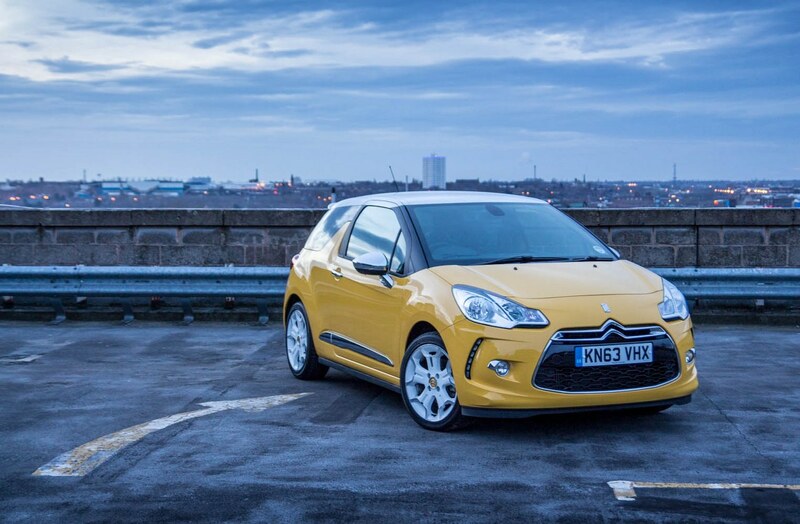 Overall, driving the Citroen DS3 DSport hard is a lot of fun; any novice could take this car out and enjoy the driving experience without a problem. The car just encourages you to keep going! I didn’t doubt Citroen for a moment. I knew this car was going to be great, but I didn’t realise it was going to be as well built and well-rounded as this!